Almost every day we describe and assess the personalities of the people around us. "She has such a great personality," you might say about a friend. "He gets his personality from his dad," you might say about your rambunctious son. While we spend a lot of time talking about personality, many people are not quite sure exactly how and what personality psychology is really all about. Whether we realize it or not, these daily musings on how and why people behave as they do are similar to what personality psychologists do. While our informal assessments of personality tend to focus more on individuals, personality psychologists instead use conceptions of personality that can apply to everyone. Personality research has led to the development of a number of theories that help explain how and why certain personality traits develop. 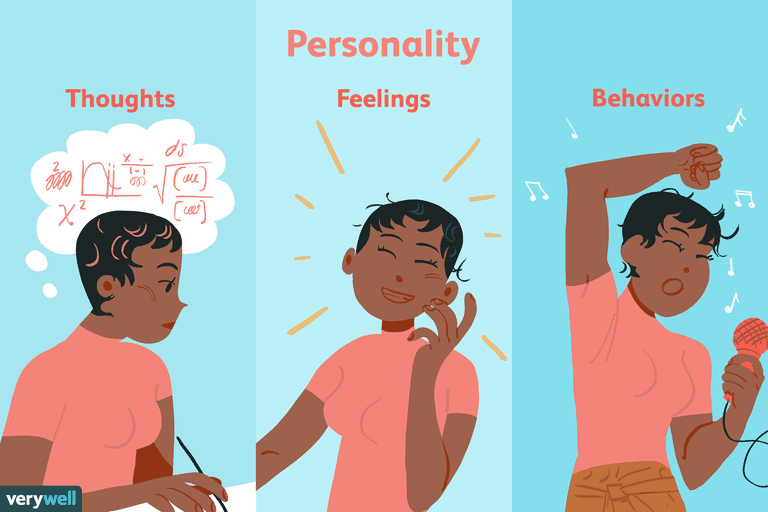 Let's take a closer look at exactly what psychologists mean when they talk about personality, how they study human personality, and some of the key theories of personality. While there are many theories of personality, the first step is to understand exactly what is meant by the term personality. The word personality itself stems from the Latin word persona, which referred to a theatrical mask worn by performers in order to either project different roles or disguise their identities. A brief definition is that personality is made up of the characteristic patterns of thoughts, feelings, and behaviors that make a person unique. In addition to this, personality arises from within the individual and remains fairly consistent throughout life. While there are many different definitions of personality, most focus on the pattern of behaviors and characteristics that can help predict and explain a person's behavior. Explanations for personality can focus on a variety of influences, ranging from genetic explanations for personality traits to the role of the environment and experience in shaping an individual's personality. Environmental factors that can play a role in the development and expression of personality include such things as parenting and culture. How children are raised can depend on the individual personalities and parenting styles of caregivers as well as the norms and expectations of different cultures. Consistency: There is generally a recognizable order and regularity to behaviors. Essentially, people act in the same ways or similar ways in a variety of situations. Psychological and physiological: Personality is a psychological construct, but research suggests that it is also influenced by biological processes and needs. It impacts behaviors and actions: Personality does not just influence how we move and respond in our environment; it also causes us to act in certain ways. Multiple expressions: Personality is displayed in more than just behavior. It can also be seen in our thoughts, feelings, close relationships, and other social interactions. Type theories are the early perspectives on personality. These theories suggested that there are a limited number of "personality types" which are related to biological influences. Trait theories tend to view personality as the result of internal characteristics that are genetically based. Psychodynamic theories of personality are heavily influenced by the work of Sigmund Freud and emphasize the influence of the unconscious mind on personality. Psychodynamic theories include Sigmund Freud’s psychosexual stage theory and Erik Erikson’s stages of psychosocial development. Behavioral theories suggest that personality is a result of interaction between the individual and the environment. Behavioral theorists study observable and measurable behaviors, often ignoring the role of internal thoughts and feelings. Behavioral theorists include B. F. Skinner and John B. Watson. Humanist theories emphasize the importance of free will and individual experience in developing ​a personality. Humanist theorists include Carl Rogers and Abraham Maslow. Understanding the psychology of personality is much more than simply an academic exercise. The findings from personality research can have important applications in the world of medicine, health, business, economics, technology, and other areas. Researchers have found that certain personality characteristics may be linked to illness and health behaviors. By building a better understanding of how personality works, we can look for new ways to improve both personal and public health.